The recent Myriad Festival funded by the State Government is the major innovation festival in the Southern Hemisphere and Samford Commons was there as an Innovation Hub and a Founding Partner of Innovate Moreton Bay. We were there to tell our social entrepreneurship story and to help other innovative organisations and businesses to build their networks while we built ours. A number of people were interested in our STEAM Immersion Program and the emerging Wellbeing Immersion Program and Wellbeing Trail concept as well as the whole Samford Commons precinct. Who knows what may come from the myriad of connections and ideas? 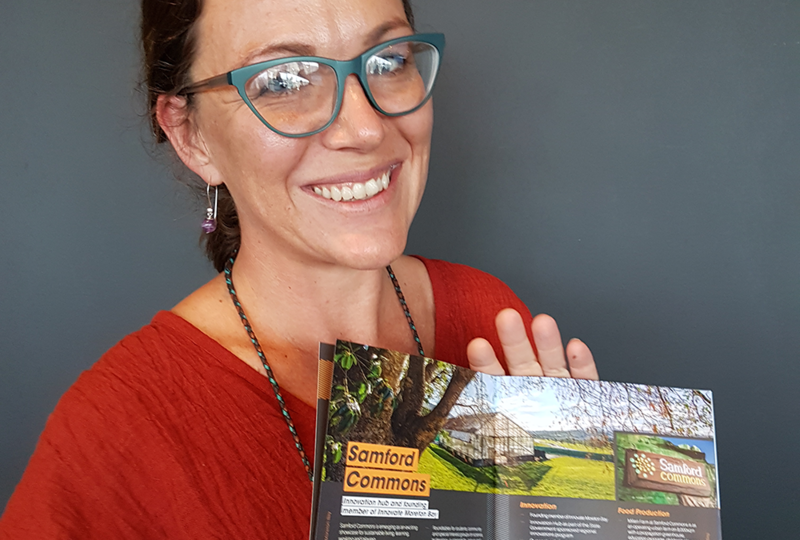 If you would like to find out more or help with any activity at Samford Commons please contact us on 0407 190 162 or email us. Note: Community and member meetings are on the 4th Wednesday of each month, 6.30pm for newcomers induction and 7pm for the meeting. Next meeting is on 27 June. All are very welcome.